Second meal prepared in the Paris kitchen was another soup: a pot of pho made by my friend Huan. 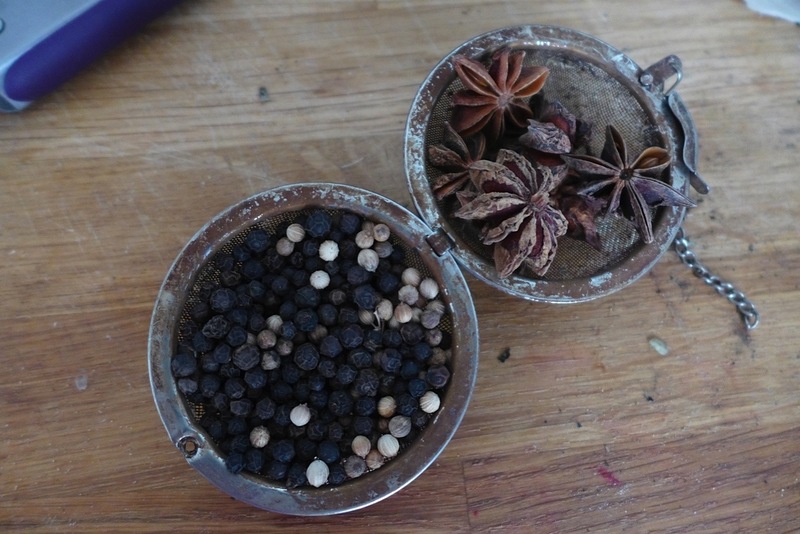 Here he demonstrated the proper spice mix for the soup: coriander, black pepper, and star anise. Published: August 19, 2013 Dimensions: 1279 × 854 Posted in: Kitchen Gallery Post a comment or leave a trackback: Trackback URL.